Instagram-worthy vistas! Located about an hour’s drive from Whistler Village in Beautiful British Columbia, Joffre Lakes Provincial Park consists of 3 turquoise, glacier-fed lakes, simply named Lower, Middle and Upper Joffre Lakes. Each one is more special than the last, and their striking, saturated blue colour is caused by “rockflour” – or glacial silt – that is suspended in the water and reflects green and blue wavelengths of sunlight. At 10 km, the hike is not too long, but the steady uphill climb and several technical sections, give your thighs a workout. Carrying water is a must, and there’s usually a 10 degree difference in temperature from the base to Upper Lake which is within sight of Matier Glacier, so a light jacket may be necessary even in the summer. For those wanting to camp, there are 26 wilderness campsites at the south end of Upper Lake that fill quickly. 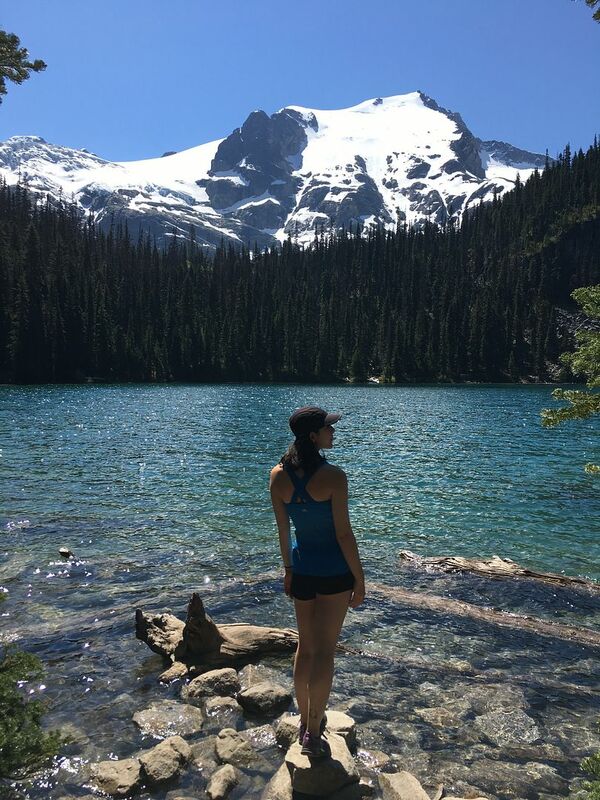 Be sure to charge up those phones and cameras when you visit Joffre Lakes Provincial Park!